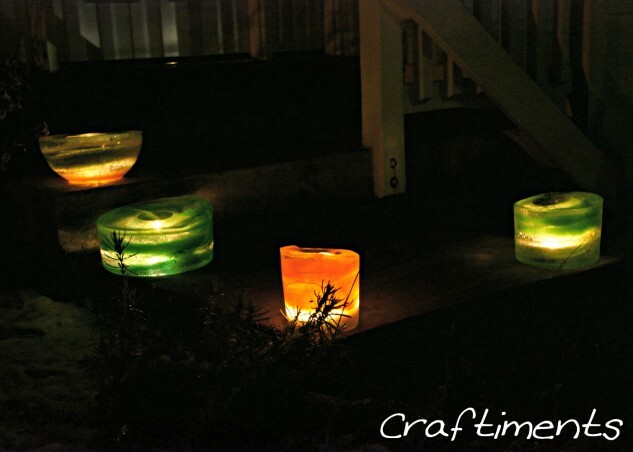 All of you who love DIY projects and crafts, check out these 14 creative ideas for outdoor lighting that we have collected. They are all easy to make and they look amazing too. Choose one or maybe more of these incredible ideas, roll up your sleeves and make your outdoor space a comfortable and magical place. This project is obviously not for the summer and the hot weather but I just had to mention it because these ice lamps are so cool and look amazing. 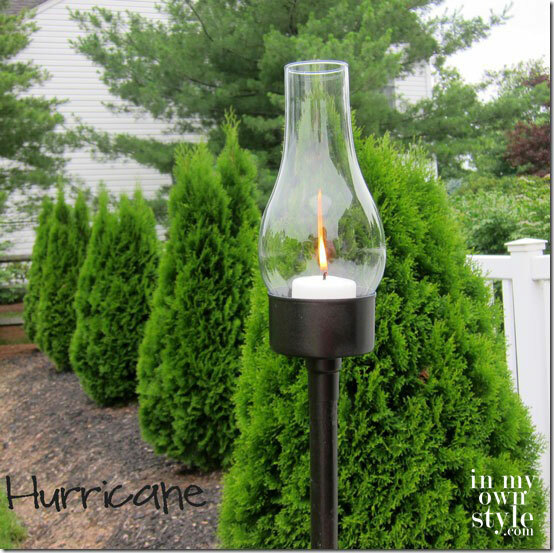 If you like it too, add it to your list of DIYs and try it out when winter comes. 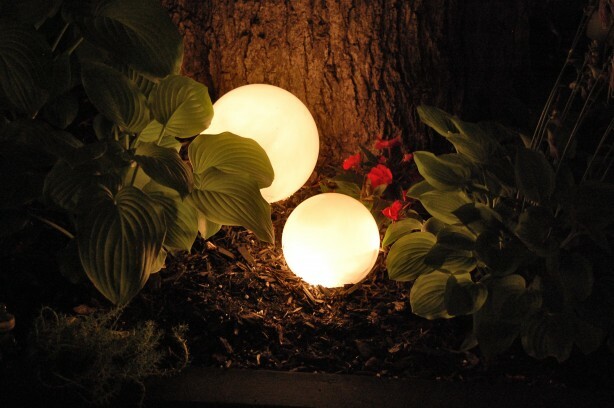 Lighten up your garden with these glowing light orbs. The project is pretty simple, quick and it costs next to nothing. Here is another great idea. 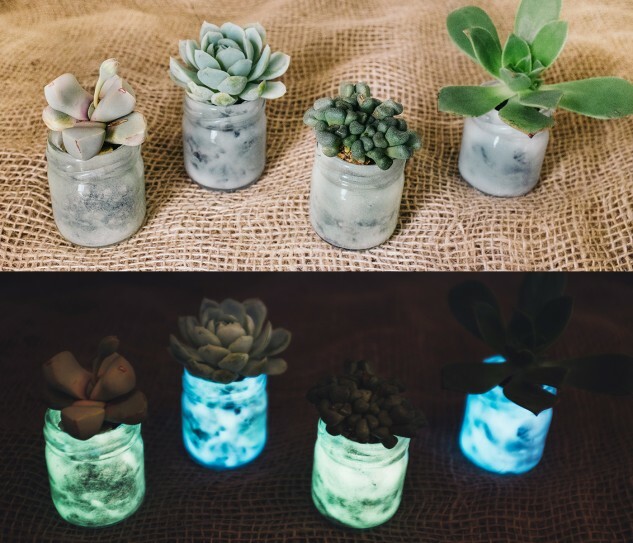 With these glow-in-the-dark succulents you will have decorations and lighting at the same time. Plus they are self-charging and electricity-free. They would definitely beautify your garden and create a lovely and romantic atmosphere for even more enjoyable night gatherings in the outdoor space. 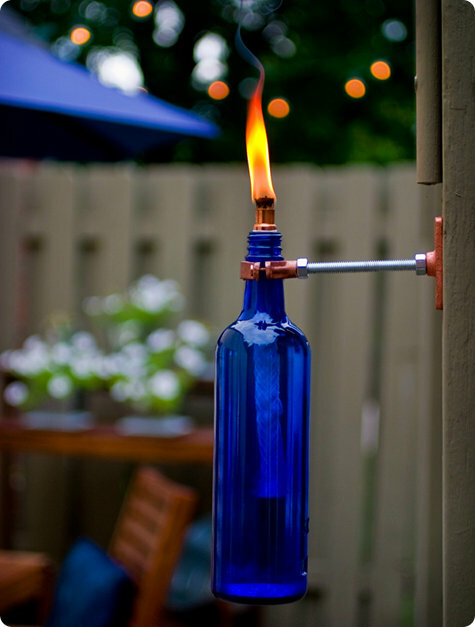 Why throw out the empty wine bottles when you can recycle them and create these incredible torches? Check out this easy tutorial and give a new purpose to empty bottles. Another easy DIY project that you should try. 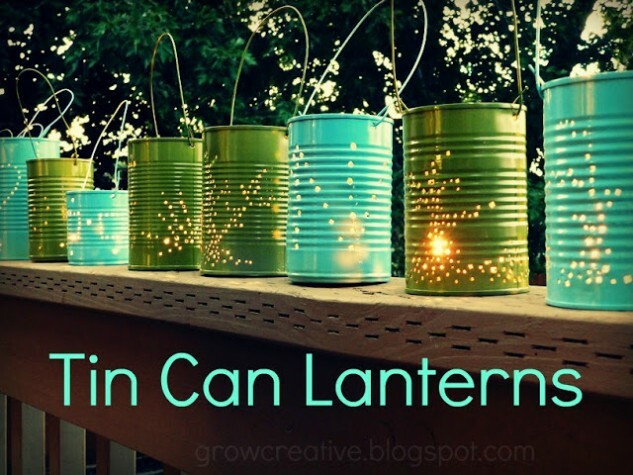 These tin can lanterns look adorable and will certainly make your outdoor space adorable too. You can paint them in different colors and make whatever design you like on them. Be creative! Another great and economic idea with glow-in-the-dark paint. 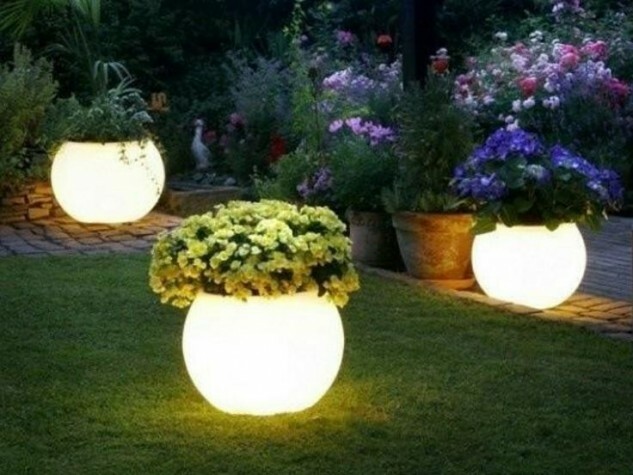 These fantastic glowing planters will make your backyard a magical place. The cupcake lights are so cute and colorful, and they are great for the summer. 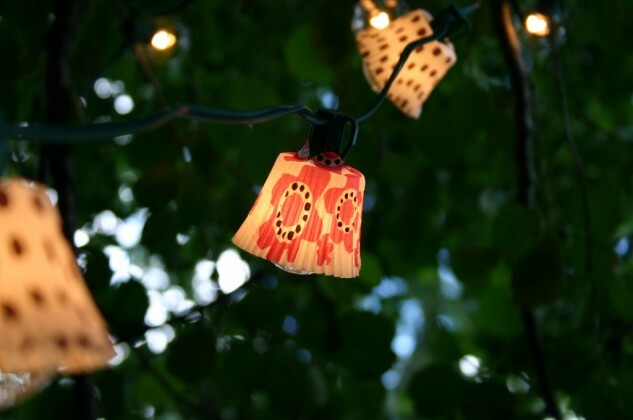 You can also make them with your Christmas lights. Check out the tutorial! 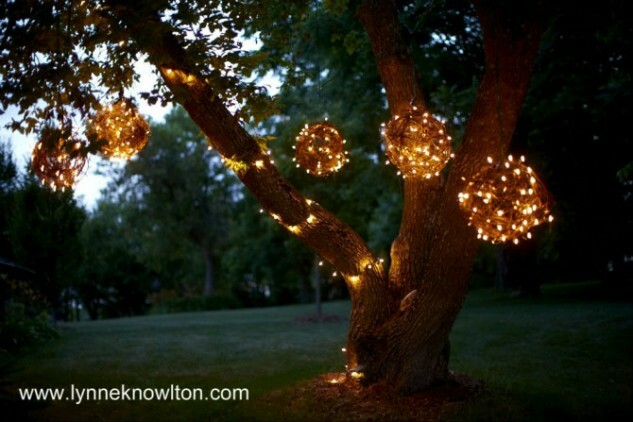 Check out this creative project and make a grapevine lighting ball yourself. As you see in the picture they are breathtaking. Jars are great! They can be used for so many things and here is one of them. 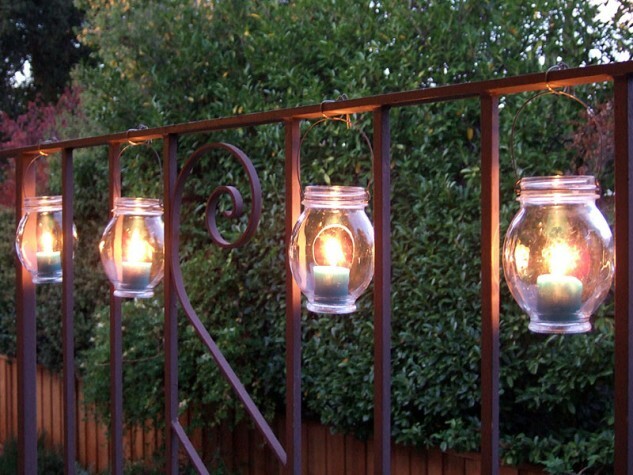 Collect some empty jars around your home, add candles in them and you will get amazing lanterns for your garden or balcony. You can hang them on the fence, place them on a table, on the ground, wherever you like it the most. 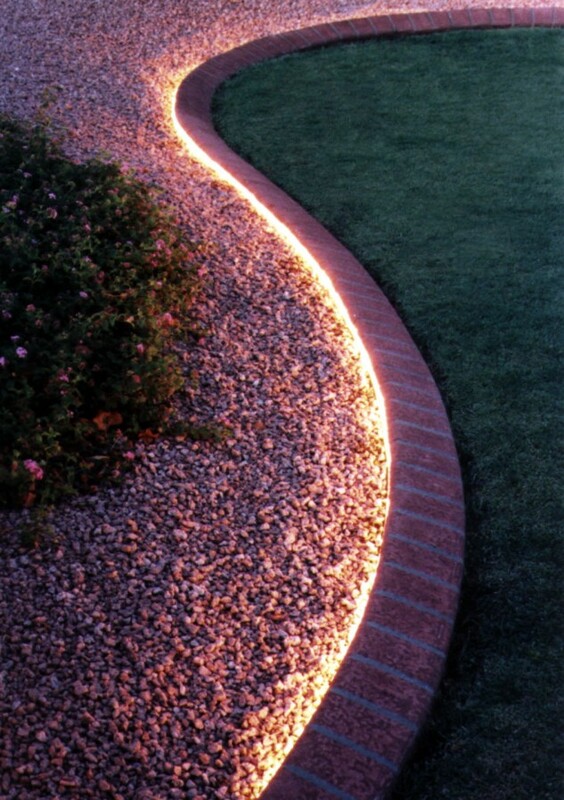 Check out how with the right placement of a simple led rope you can create a dreamy lighting feature in your garden. 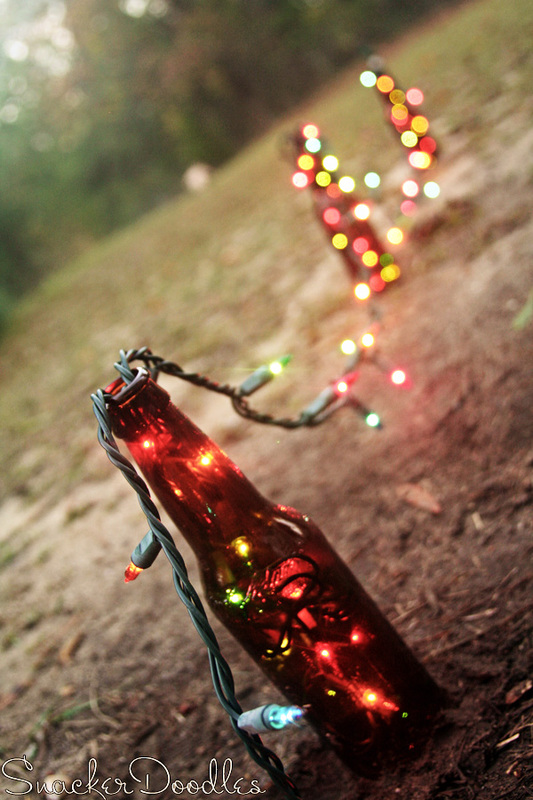 Here’s another great and creative idea with bottles and Christmas lights. Try it out if you like it. If you have trees in your garden this is the perfect project for you. 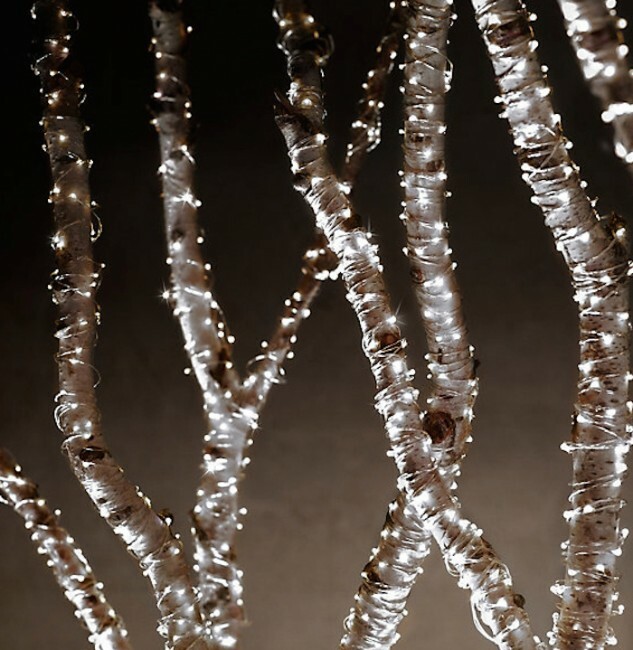 With these string lights around your tree branches, you will have a magnificent lighting and also a decoration that will make your evening gatherings there even more enjoyable. Another creative idea for all of you who love DIY projects. Check it out! And once again a mason jar project. You could never get enough of those. 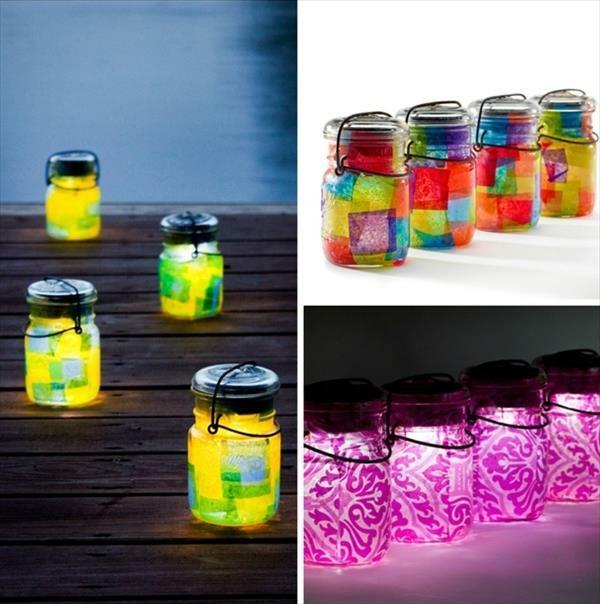 Look how beautiful these jar lamps look. They will add color, romance and coziness to your outdoor space. And they are so easy to make so you should definitely add them to your garden or balcony decor.